Although I celebrate a Missa Cantata regularly in the parish, it is a little daunting to be celebrating in the presence of the editor of the new edition of Fortescue's "Ceremonies of the Roman Rite" and several other distinguished liturgical scholars. I'm worried that I will get all flummoxed, incense the cruets or sing "The Lord be with you" in English or something. I am really looking forward to this conference. 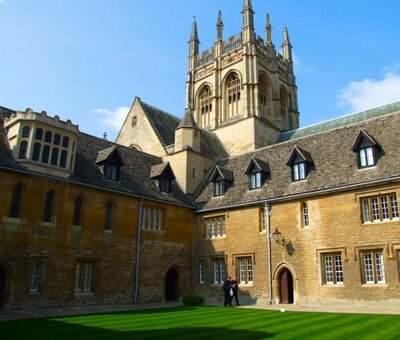 It is always a joy to return to Oxford, my home for three very happy years; and the gathering of priests from all over the country is an unequalled opportunity for both serious exchange and light-hearted banter.